Wondering how to work more beans in your diet? You know you can save money eating more beans in place of meat, but how do you make it happen? Check out The Everything Beans Book. Beans and rice, rice and beans — Beans are one of the means that our family used to get out of debt many years ago. In fact, our dinners were bean-focused at least three nights a week! Talk about your super-frugal foods! We were able to live within our means, save money, eat well, AND lose some weight during the year or two when beans and rice were served up at that frequency. But, what if you don’t know how to cook beans? Or you’ve never even heard of beans as anything more than a side dish? Are beans really ALL THAT? 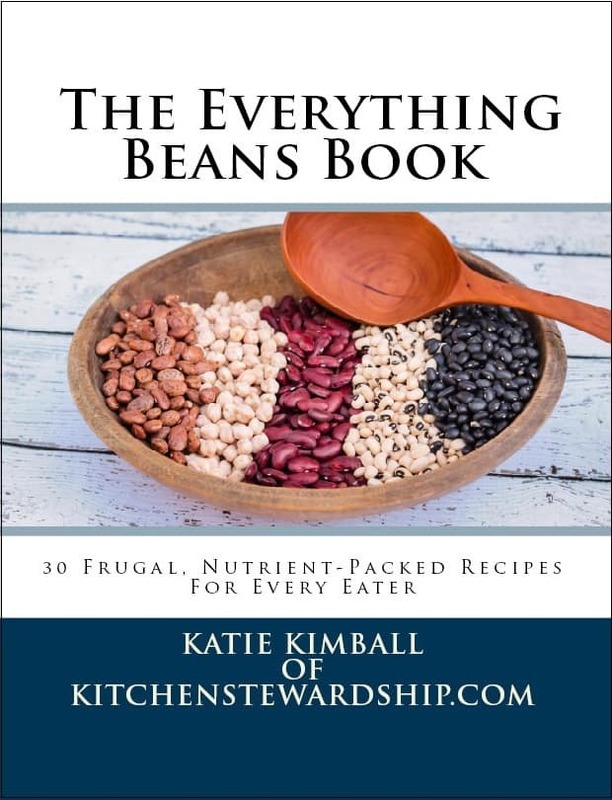 My friend Katie from Kitchen Stewardship has put together an ebook, dedicated to this humble, frugal food, in The Everything Beans Book. Katie has done a fantastic job putting together an all-purpose book about beans. 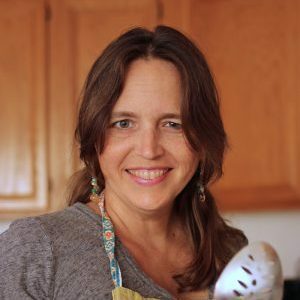 She includes a huge variety of recipes from making a broth from scratch to bean-based wraps to bean-y main dish meals. There’s even a recipe for bean brownies! Katie has the heart of a researcher. She is a wealth of information when it comes to nutrition and quite honestly, she’s my go-to girl when I want to know the nitty gritty details about food science. Know that you’re going to learn a lot from Katie and this beans book — not just how to cook a bean! 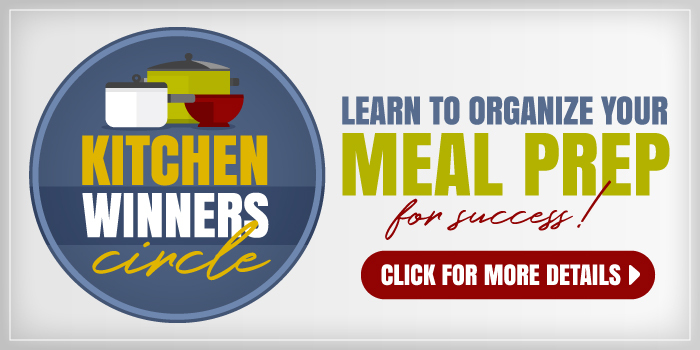 exactly what you need – frugal, bean-based recipes to cut your budget and increase your nutrition. a hefty amount of informative text, all in one place. Well tested recipes! Over two dozen recipe testers worked hard to make sure all the recipes are not only delicious, but easy enough for a nervous newlywed to understand. You can cook beans! It’s been meticulously edited by a crack team of helpers and the recipe testers. Easily printable and formatted for your kitchen. 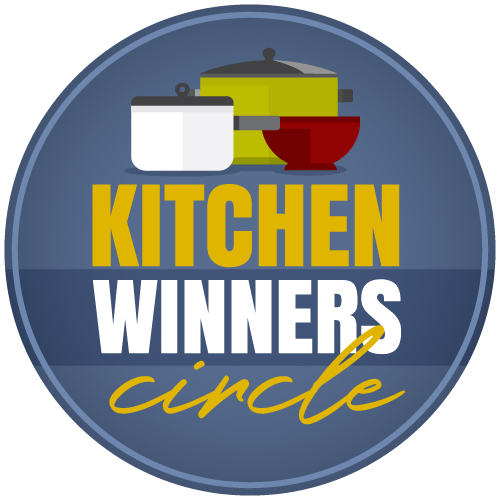 Disclosure: I received a review copy of the book and am a Kitchen Stewardship affiliate. Beans are a staple here. There are a myriad of different types of cuisines they can be used in and they are cheap. One of my favorite meals is Pinto beans topped with raw chopped onion and a side of hot buttered cornbread. I can eat that anytime of year. I’m trying to get over my fear of cooking dried beans because I know they are both healthy and frugal. I’d like to incorporate a meatless dinner once a week or so. Hopefully I’ll make progress soon! I should probably branch out to use beans more. I’d really like to be able to make refried beans, but call me crazy I really like the stuff in the can and can’t seem to replicate it.